Mornings are pretty slow in our house. If it isn’t a school morning, it can take quite a number of hours for us all to make it out of our pajamas. In my defense, it is genetic (my mum can often be found still wearing her pajamas at 3pm – sorry mum). If I can find ways to speed up my morning routine without having to actually move fast, I get very excited. So these vegan and gluten free peanut butter breakfast cookies got me very excited. Not only are they tasty and approved by the whole family, you can make them in advance so breakfast is ready and waiting when you get up. It was actually thanks to my 4 year old son that this recipe came about. He loves to bake. So one morning, we got out a bowl and I asked him what nutritious foods we could put into breakfast cookies. He decided we should use oats, peanut butter, banana, and an apple pouch (i.e. apple sauce). 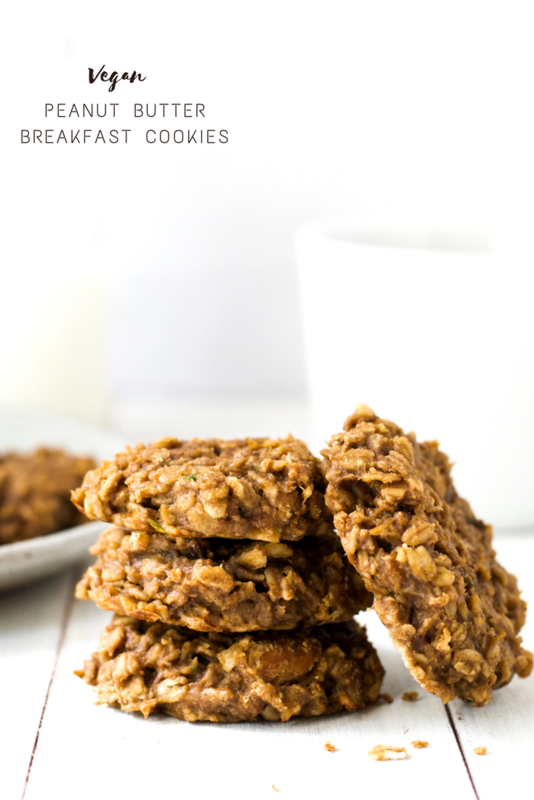 I added the avocado, flax seed, cinnamon, and just a touch of maple syrup, and these peanut butter breakfast cookies were born. 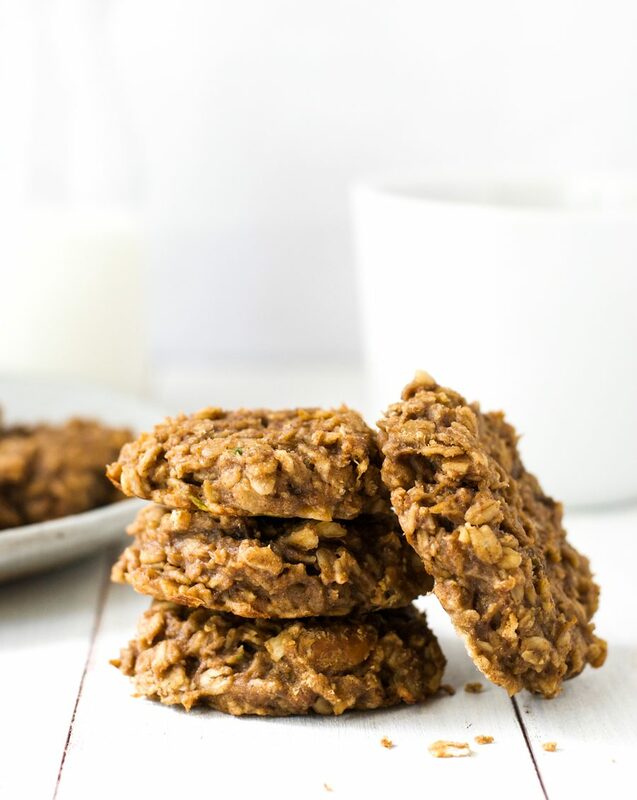 These cookies are extremely moist and filling, and they provide a balanced breakfast of protein, carbohydrate, and fat. 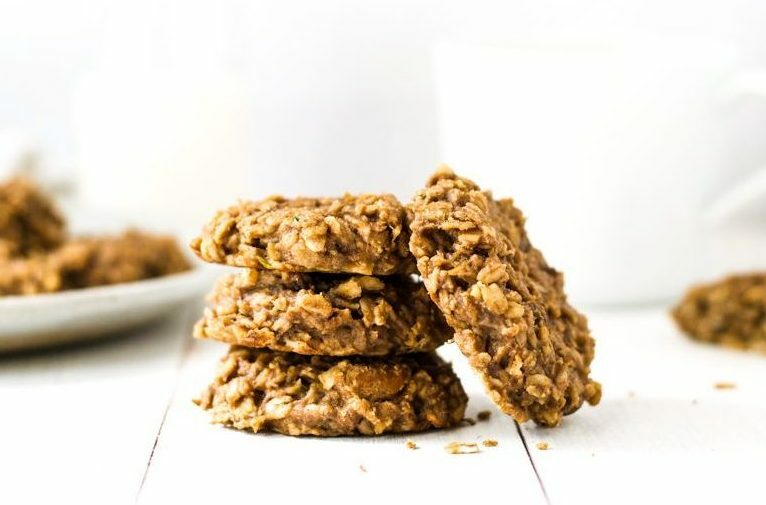 Each cookie contains just 233 calories, with 1/4 of your daily fiber needs and less than 1 teaspoon of sugar (most of which is from the banana and apple). You can make a batch and keep them in your fridge for up to 5 days, or in your freezer for up to 3 months. And you don’t have to limit these bad boys to breakfast. 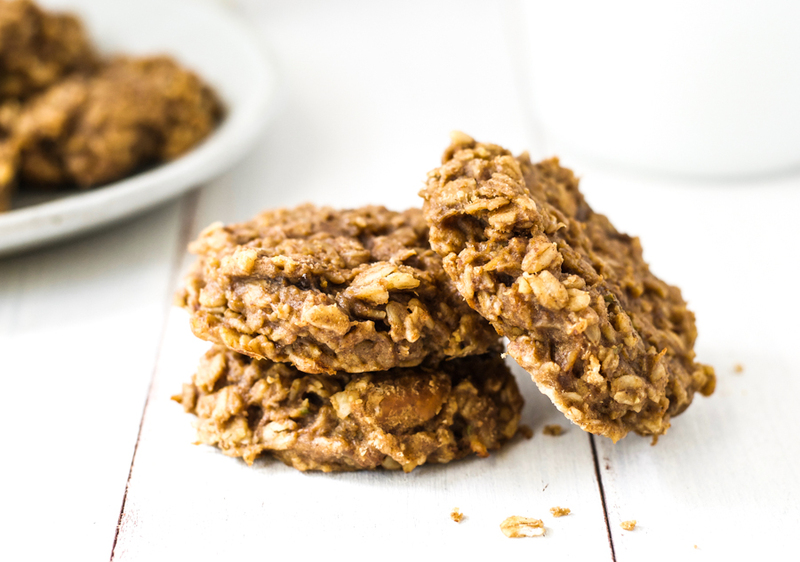 They make an excellent portable or post-workout snack, or a delicious and healthy low-sugar sweet treat. 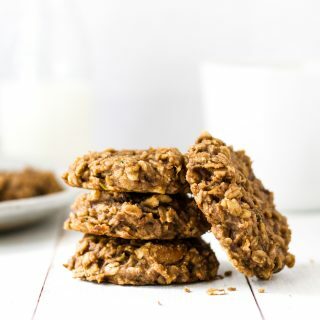 You can even customize them by adding chocolate chips, raisins, or walnuts. The possibilities are endless. Preheat the oven to 350F and grease a baking tray or line it with parchment paper. In a medium bowl, mix together the oats, flax seed, cinnamon, and salt. In a large bowl, mash the bananas and avocado. Add the peanut butter, apple sauce, and maple syrup to the banana avocado mash, and mix well. Add the oat mixture to the peanut butter mixture and stir until well combined. Drop heaped tablespoons of the cookie dough onto the parchment paper about 2 inches apart. With wet hands, press them into a cookie shape – they won’t spread while baking. I added 1 tsp baking soda and half cup shredded coconut.